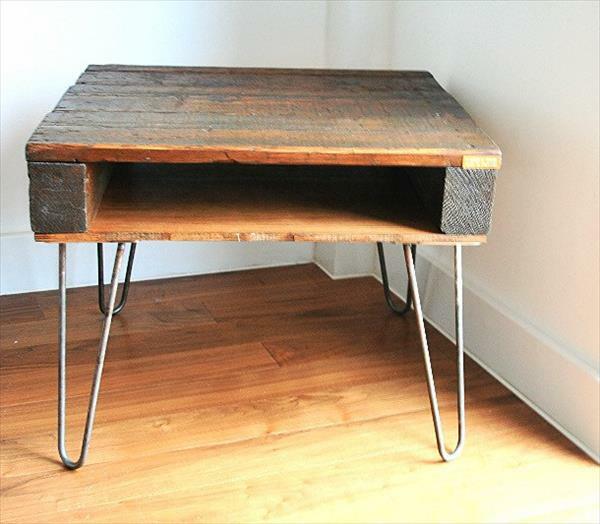 Coffee tables come in so many designs and shapes, but the natural and rustic looking tables are always favorite and picked up first by anyone among you. That’s why DIY tries to include more coffee tables in its existing range to make you available with more options to rusticate your home décor. 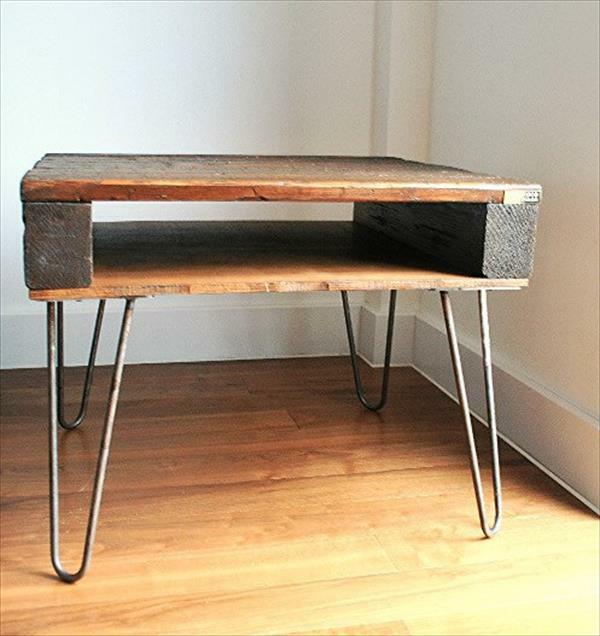 This DIY pallet industrial coffee table is a happy addition for your home or your office area, with its rustic and industrial look at the same time. 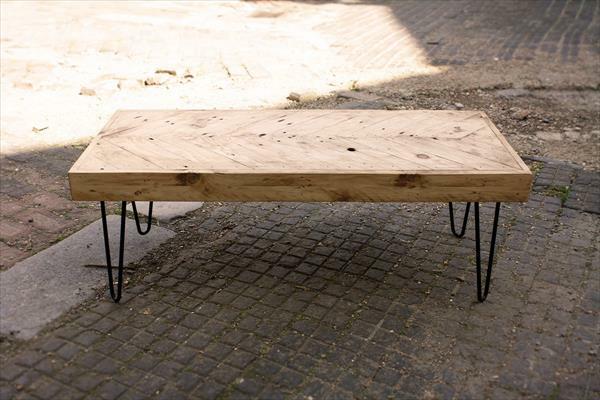 The natural look comes from the pallet boards, which have been joined together to form the table top. Hair pins steel legs have been used to give a low standing to this unique piece of coffee table. The pile up of the pallet boards have left you with a huge cubby to work out your storage plans for your books and magazines. The table would serve you hot mugs of coffee table in a pleasing natural style either in your living room or in your office cabin.